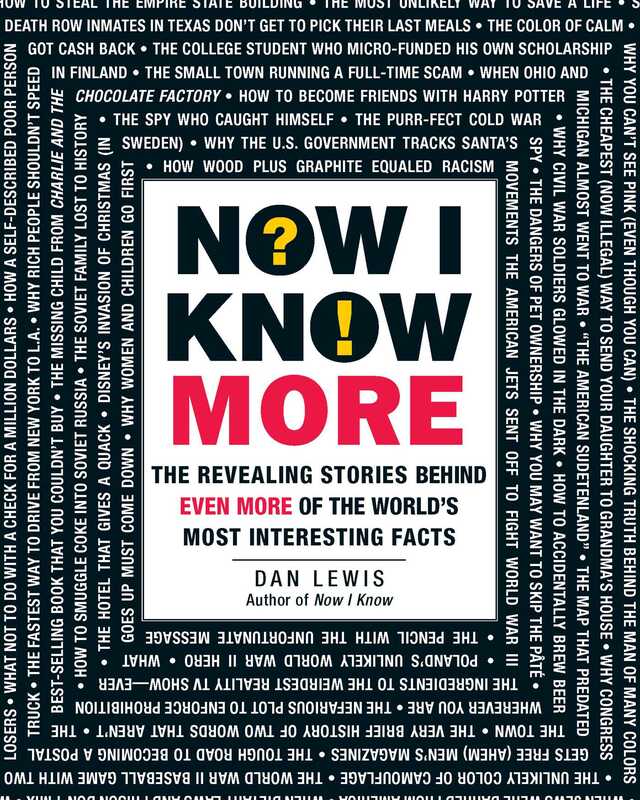 Dan Lewis, creator of the Webby Award–winning Now I Know newsletter, is back with 101 unbelievable-but-true stories to blow your mind. Get ready to find out the real deal behind a new collection of fascinating facts. From pink camouflaged fighter planes to secret Harry Potter characters, Now I Know More covers everything from history and science to sports and pop culture. You'll learn about made-up towns that made their way onto real maps, the time three MLB teams squared off in a single game, and ninety-nine more curious cases of remarkable trivia. And it's all true. With this book, you really will know more!